Today is the first day of our 12 days of Christmas! Jackie from Ready. Set. Read! 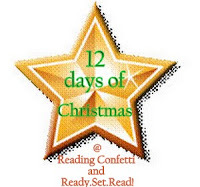 and I are teaming up to each bring you 12 of our favorite Christmas books and activities every weekday from now until December 13! Welcome to day 1! 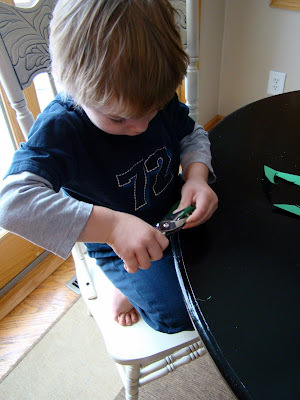 Drew is fascinated with the hole puncher so we made some paper punch trees. 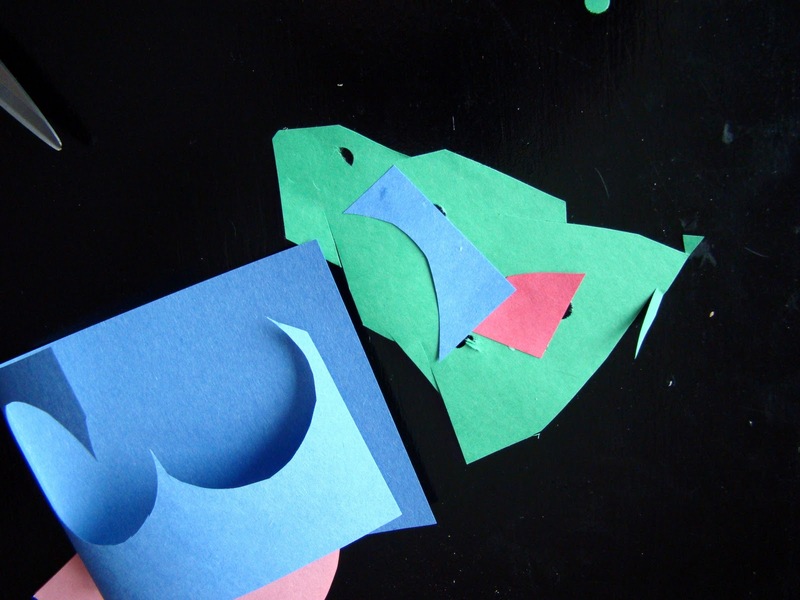 This is a great activity for using up scraps of paper. I drew a small Christmas tree shape on green construction paper and then we cut them out. Then we used a hole punch to make "ornaments" in our tree. 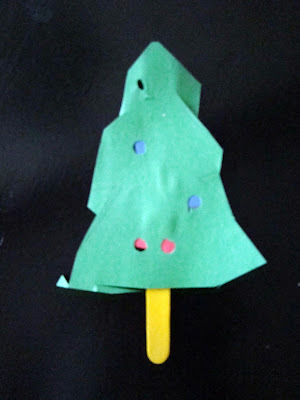 We flipped it over and glued scraps of different colored paper to the back and attached a craft stick. Drew made this one all by himself! To go with our craft, we read Mr. Willowby's Christmas Tree . This is a great rhyming story about a man who has a Christmas tree delivered and discovers it's too tall. He has the top cut off and gives it to his maid for her Christmas tree. She too trims off the top and the gardener uses it for his tree. This keeps on until a mouse family gets the very tippy-top of the tree for their mouse hole. That books sounds great! I can remember my dad doing that every year, cutting down a tree from out back woods and then it being way too big!! We always have a fake tree now, but I'll have to find that book to bring back memories. Love the craft too. 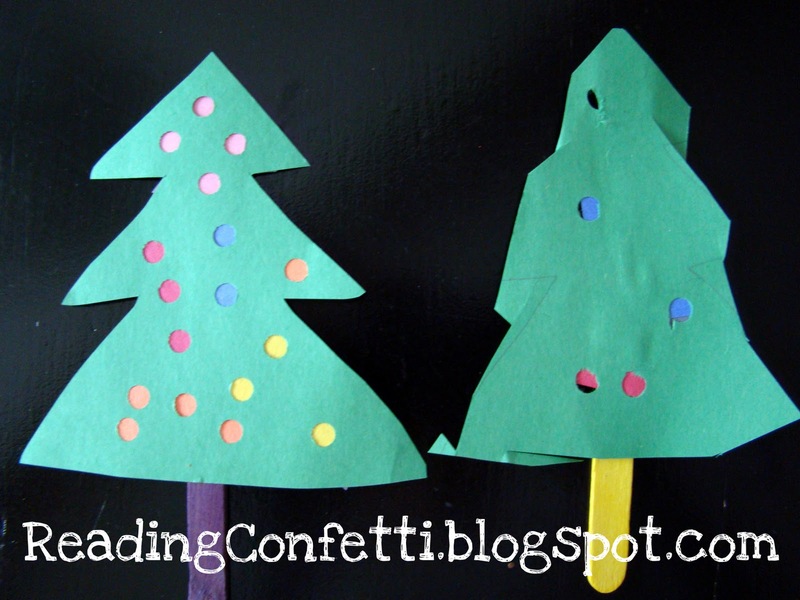 Maybe we'll do that after we finish up our 12 crafts! Thanks for the link back. I was kind of a bad blogger today and never got over here because I was so busy with Cyber Monday shopping! These look great. Definitely want to give them a try. I also wanted to let you know that I passed on an award to you. Check it out at http://craftymomsshare.blogspot.com/2011/11/award.html. Thanks for all the ideas and support!! Why do I never see such interesting holiday books on display at the library? I'll be scouring the shelves for this one soon. Thanks for the recommendation and the fun craft idea! 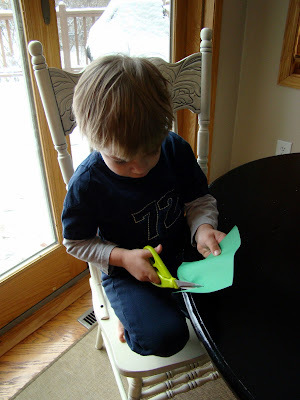 Lori this is an adorable activity! And I have not read this book, it sounds like a cute story! I'd love if you would come by and share this (or any other fun activities) at my first Thrifty Thursday Linky Party this week! Come check it out! That's a fun way to decorate a little tree. Lori Thanks for Linking up!!! :) I just liked you on FB! These are adorable. And my son LOVES hole punching. In fact he did it for about an hour today!!! Very cute. I would like to look at that book. Sounds cute. Thanks for sharing on Monday Madness.